One of the most popular EMG’s, the 81 is the one that started a revolution. Utilizing powerful ceramic magnets and close aperture coils, the tone was designed with detailed intensity, incredible amounts of high end cut, and fluid sustain. Traditionally used in the bridge position of your guitar, this humbucking pickup will make your leads slice right through even the densest mix. When used in both neck and bridge positions the sound can only be described as blistering. The 60 humbucker packs plenty of output with a balance of thick, boosted mids, big lows and singing highs. Featuring close aperture coils, similar to a mini-humbucker, this model produces rich harmonic overtones with plenty of sustain. 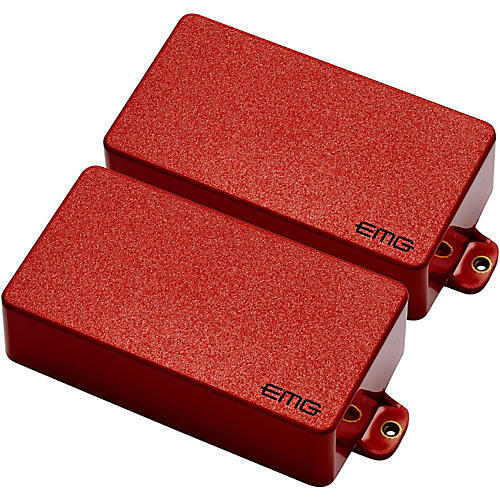 Due to its ceramic magnets, the EMG 60 has a full treble response and loads of output great for distinct single-note solos. The 60 provides clarity and character to your guitar and works very well in the neck position. Like all EMG active guitar and bass pickups, the 60 installs without the use of a soldering iron, making it easy to do at home.